When we heard about Carol Tuttle’s book The Child Whisperer we were intrigued!The basis for the book is that every child expresses one (or more!) of four general patterns in their body language, behavior and personality. They’re what Tuttle calls the “Four Types.” The idea is that if you honor your child for who they are the most core level they will be happier, more cooperative, and you will need to discipline them less. We’re listening, Carol! 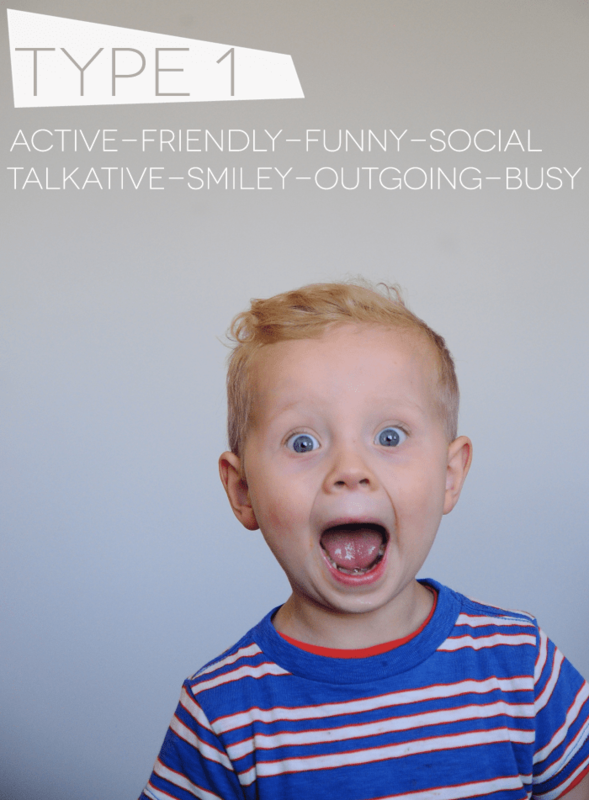 To help illustrate these types, Carol has come up with four Spring activities to do with your kids based on their “type.” Each of our kids seems to fit into one main type with a 1-2 sub types as well. While we never feel that labeling or pigeon-holing children is productive, (they go through phases as fast as undies in potty-training season!) we love that Carol has taken very basic, very intrinsic qualities and defined how to best parent and communicate based on their needs. Children are so unique and wildly different from one another, parents of multiple children can attest, it’s a nice reminder to really learn how to honor them for what makes them so special and unique to us. Also, we’re giving away five bundles of The Child Whisperer (the book, audio tapes and e-book) on Facebook, just share today’s status about this post with your Facebook friends to enter! No-Reason Party: Throw a party for no reason! Doesn’t have to be elaborate—it just needs friends. Even better if it’s a surprise. Surprise Drive: Let your child tell you where to turn the car. Who knows where you’ll end up! Say Yes: These children have endless ideas. Say yes to one that you normally wouldn’t. 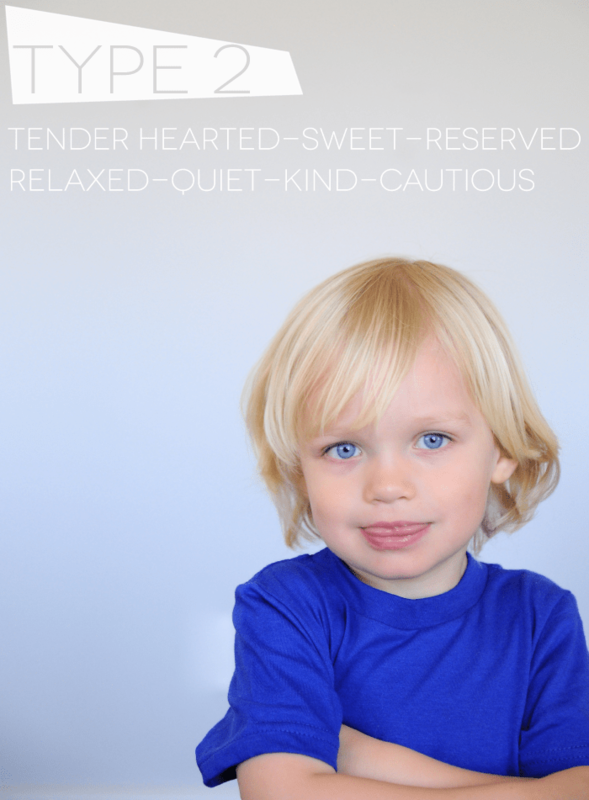 Emotionally oriented, these children are gentle and mindful in nature. Naturally quieter, they enjoy activities to unwind or feel comfortable. Read-a-thon: Prepare a comfy space, stock up on books and snacks, and your child is in heaven! Game Plan: These kids LOVE to plan—let them plan a family meal or outing. Best Friend: These children relate best one-on-one. Invite over one friend. Physically oriented, these children move fast and are SO determined. They enjoy competitive activities where they can get their hands dirty. 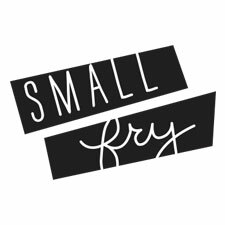 Race Day: Hold an informal race at the park, or sign up for a 5k. These children love the push of competition. Build Up: They love projects—let them build something. Open for Business: Natural entrepreneurs, these children love earning extra money, whether through a lemonade stand or jobs around the house. Alone Time: Without down-time, these kids get cranky. Give them space. Picture Perfect: Let them color perfectly, make a recipe perfectly, or put something together perfectly. Let your child decide what perfect looks like. Just Ask: These kids see themselves as their own authorities. If you want to plan the perfect activity for them, ask what they want to do! For more in depth discussion about types, customized parenting tips, and discipline, check out The Child Whisperer! I will have to ask my local library if they’ll be carrying this book. Or if I can buy it& donate it when i’m done. I’m always looking for ways to better understand and parent my children (who have two VERY different personalities!!) Thanks for sharing! Thanks for sharing, i want to read that book! I have a type 1 and a type 3 over here. Things be cray cray at my house! How nice it would be sometimes to have one who liked alone time and a pile of books! Haha. I shared in FB . Interesting…what age do they indicate they used for forming they types? Hi Teresa T, good question! One we get a lot! Since the 4 Types are based on movement you can actually tell once you start to feel your baby move in your tummy! For the moms of many kids I’m sure they can tell you how different each child moved in the tummy. My baby is 11 months old and I suspected she was a Type 3 while in the womb – swift, determined movement and kicks. And sure enough once she was born it I knew she was a Type 3 determined baby. It has been so supportive knowing she is a Type 3 even in her first year of life! I know what to expect from her better and I have the tools to best support her in expressing and living true to herself! My amazing four year old didn’t grow in my tummy. However, we brought her home from the hospital and I could tell within a month what kind of personality she had. However, a lot of moms whose babies didn’t grow in their tummy and whose child had to work through some degree of trauma due to relinquishment or attachment disorder might have an interesting take on how they eventually figured out what personality type their child had and/or how it changed. 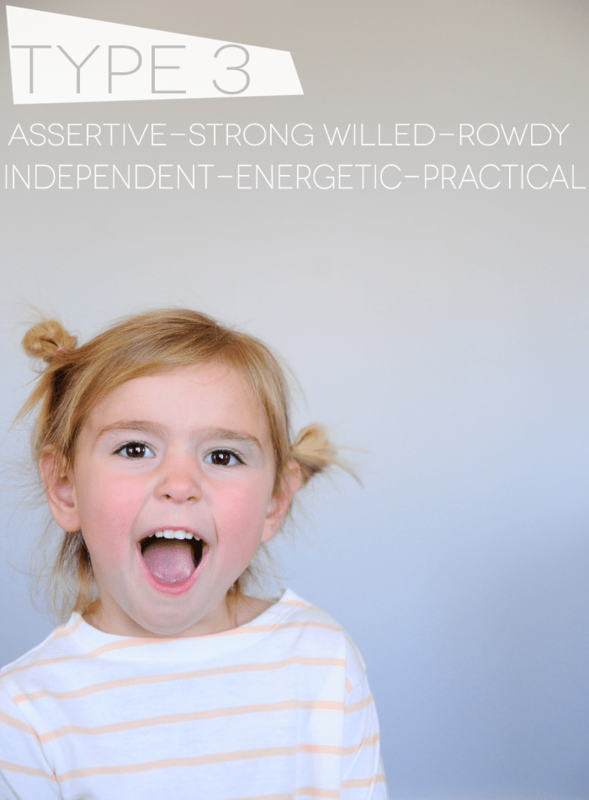 There’s a lot you can say in regards to nature vs. nurture when it comes to personality types in adopted kiddos. Might be an interesting angle for a post for you in the future. I know I can see so much nurture in my girl’s personality even though we have a great relationship with her birth mom and there’s some innate nature there as well. This is so interesting ! I was just thinking yesterday about my children’s personalities and really how I can parent each one better to them. This was a great lil reminder and ideas! Thanks guys! It takes a lot of purpose and intention to parent that way, but it’s worth it, isn’t it? We need lots of reminders over here. My little son is only 9 months old but is exhibiting type 1 and 3. I guess I will know in time about him but it’s good to know that there’s a book. I actually just saw this in pinterest but pointing to this link and didn’t pay attention to the bottom of that ‘poster’ – http://easleypark.blogspot.com/2012/11/naps-toddlers-and-perental-reprieve.html. I just learned my type through Carol’s “Dressing Your Truth” program. I am now learning my children’s types, I have six (SIX!) and I cannot tell you how this has transformed our family dynamic! Finally! A true handbook for parents! I have been looking for a parenting book. This sounds perfect! Thanks for sharing! This sounds very interesting! Will have to read it soon. I love Carol Tuttle’s work. Glad to see she’s got something on kids right in time for the start of my parenting journey! This is amazing that it’s all in a book. I was just having a conversation with my mom the other week about how I have to parent my little Jack so differently than other moms do with their kids. He’s definitely a “type-2”, spot-on, which means sometimes he can actually be the hardest on himself. I have learned not to push him too much – he’s happiest just to be. My boys are 1,3,and my step son is a 4. Learning The Child Whisperer concept has given me some great ways to connect more with my boys. Now I am working on using the concepts to help them connect more with each other. Wow! I have a 1, 2, and 3 in that order. 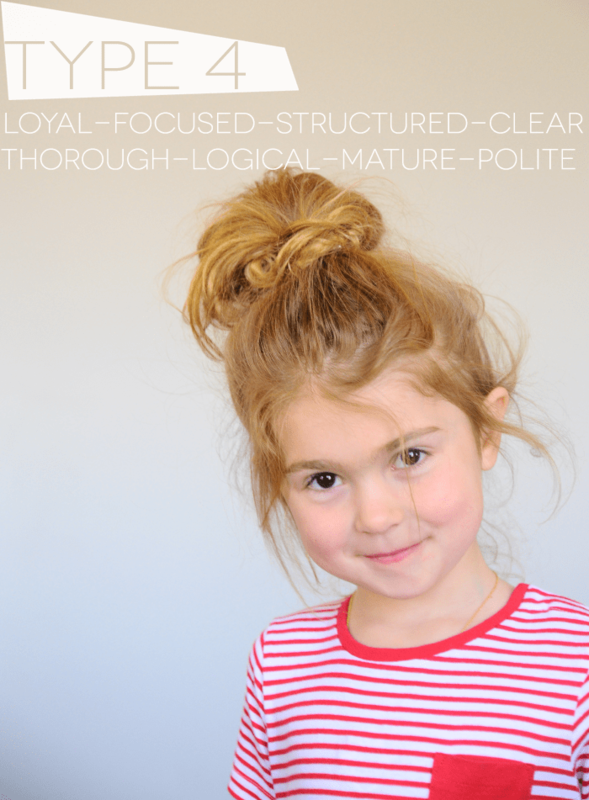 The traditional “birth order” personality stereotypes do not fit my children. Will definitely read the book seeing that the synopsis mirrors my children’s personalities spot on. I am so excited that I came across this today. I have been having such a hard time with tantrums lately and come to find out I have a Type 3 Determined Child. I cannot wait to read the book. Oh help…. I love the concept of the 4 types. And the book has helped make a lot of sense out of my 3 very different kids. But I have a type 1 daughter, a type 2 son, and a very strong type 3 son. Although the book goes into it a little, I’m still struggling to find balance in how to interact as a family when it seems like any activity leaves someone (or 2!) out. My husband works out of state for weeks at a time, and we live in a rural area with few neighbors/ babysitter options. Help! Any ideas how to blend different types together?? ?